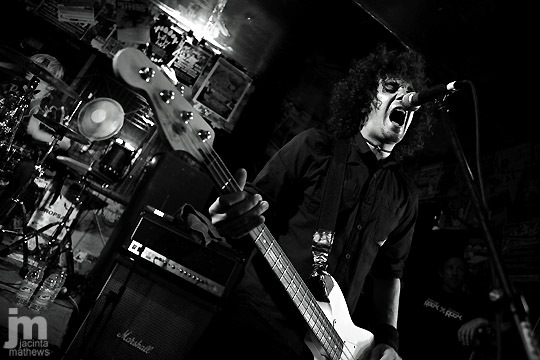 First gig with the Sigma 10-20mm. Perfect subjects. Wussed out of the front row after three songs. Was getting pummelled from behind, and the head of Brad’s bass was a little too close to MY head for comfort. 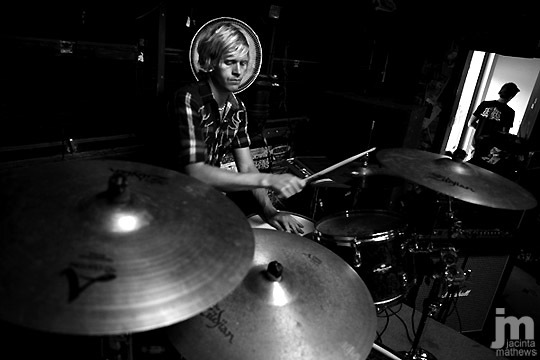 Asked Rob if I could take a few quick snaps of him during soundcheck. Lucky I did, I didn’t manage one clear shot during the actual show. Plus, it was an opportunity for a bit of a different perpective. The show was everything you’d usually expect from a Gyros show. 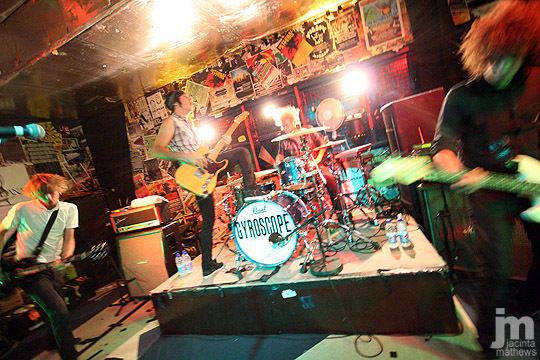 I’ve actually been to more AA Gyroscope shows than 18+ cause I enjoy them so much more. The kids really get into it and are there cause they LOVE the band, where the pub shows seem to fall victim to bogan punters looking to get drunk and rowdy. 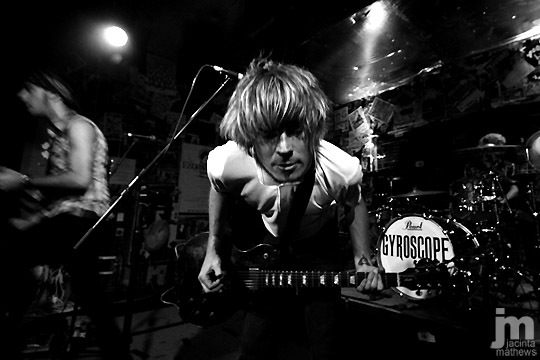 And I’m not usually one for AA shows full stop, but the Gyroscope fans are just such NICE kids. After the show there was a signing, which meant getting the ol’ flash out and trying to remember how to expose properly with the bloody thing. I still see flash as a last resort, not an aid to better photos, so I’m still yet to take the time out to ‘learn it’. ETTL FTW! Was standing on the bench they were sitting on (the black thing down the bottom is the top of Zok’s head) so I got a nice angle to compress things and make the situation look a little more hectic and crowded than it was. Next thing up on the agenda this weekend is the Good Cop Bad Cop showcase at Amplifier, and I’ve got tickets to Jeff Martin at the Fly By Night on Sunday, but I’m not sure yet if I’m going to take photos, or just go to enjoy it. I’ve got 3/4 of a roll of ISO400 colour film I want to get rid of so might be the best opportunity I get for a while. and now, your pics are all over Myspace – nice work, lady! 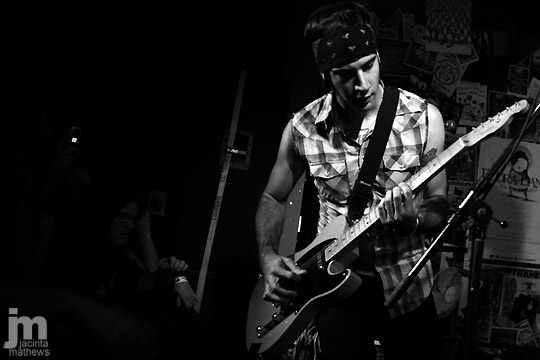 Do have fun at Jeff, I didn’t even realise he was playing here.